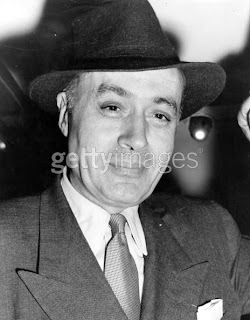 On this day in 1952, Charles Boyer was on his way to America aboard the RMS Queen Mary. He is shown here at Waterloo Station on the day of his departure, catching the boat train for Southampton. His film Happy Time, set to be released in October, would win him a Golden Globe nomination. He also was appearing at the time in the televison anthology, Four Star Playhouse, for which he was nominated for an Emmy.